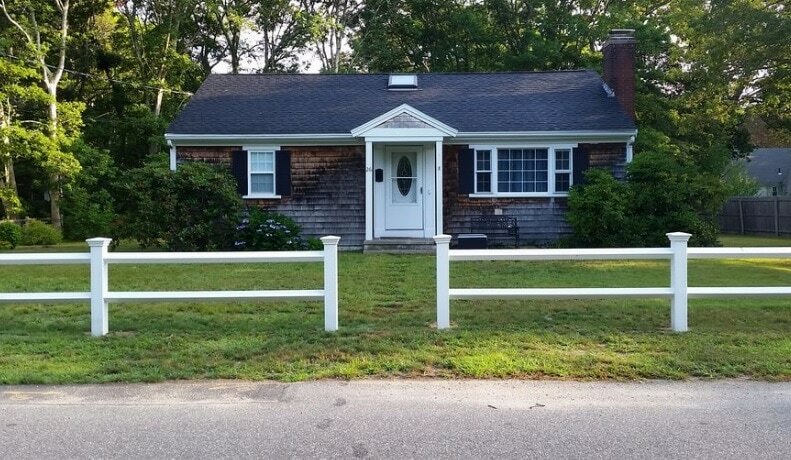 Immaculate, 3 bedroom ranch, recently renovated with central air conditioning, 1.5 miles from Bristol Beach, with Menauhant and Falmouth Heights beaches almost as close. Located on a quiet residential dead end street with an Ocean Bay aka Great Pond, saltwater, only 6 houses away. Walk to the end of the street and enjoy the quiet solitude that Great Pond has to offer, or bring the 2 Kayaks that are provided with you and glide along the pond without a care in the world. Of course you will be wearing the life vests that are provided as well. Lovingly cared for and nicely appointed, the house was renovated in 2013. Wood floors throughout with the exception of kitchen and bathroom. In addition to the kitchen and bath renovation all new linens, towels, and beds were purchased. There isn't anything that will leave you wanting. There is a half bath in the master bedroom and an enclosed outside shower (hot and cold water) to take advantage of when the weather just begs you to stay outside. Falmouth Heights beach is only a little over a mile away and you could literally walk to shopping, the movie theater, and bowling. If you are feeling adventurous, take one of the 5 bicycles that are waiting for you in the shed and either explore the neighborhood or try the 3.3 mile Shining Sea Bikeway that follows the original route of the New York, New haven and Hartford Railroad that used to run from Buzzards Bay through North and West Falmouth, around Woods Hole and into Falmouth Station. or go outside and try to score a ringer at the horse shoe pit. This is truly an amazing location and surely not to disappoint. If I weren't still working this is where I would be 100%. I love the ocean and all that the Cape has to offer. I am very meticulous about my home and want people to enjoy it as much as I. The location is perfect. You are on a dead end street that opens onto Great Pond, which is actually a bay that goes out to the Nantucket Sound. You have shopping within walking distance or a short driving distance, activities within minutes and restaurants galore. You are so close to the highway but you don't even know it because you are tucked away. All the amenities you could possibly need for your vacation. 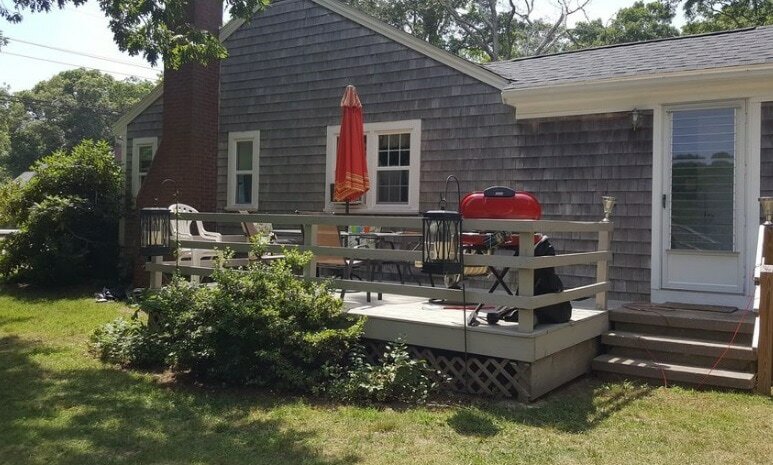 A deck with seating and a grill, kayaks, bicycles, horse shoes, ping pong and a shuffle board. Not to mention the outside shower, the proximity to a walking, biking, jogging path. You are also minutes away from the Martha's Vineyard Ferry and pretty close to the Shining Sea Bikepath that runs from Falmouth to Woods Hole.